Sometimes even the best researchers need a little help to learn the various skills and concepts to be proficient, the options found here can help. Don't forget to visit the library for help too! You will hear the word 'database' get used a lot on campus. Think of an individual database as an online library that contains articles related to a specific discipline or articles on multiple subjects. The library purchases access to these subscription resources to meet the information and research needs of students and faculty. You can access databases from the library's homepage. Your professors will often require you to use articles retrieved from databases to build your ideas and work. Use library databases to find articles from research journals, trade/industry magazines, or traditional newspapers and magazines. Remember, because the library purchases access to databases on your behalf, they should not be considered "web resources." The research process is a systematic way to successfully engage in and complete the research you will be required to do for many of your assignments and projects. Use the research process to manage the demands of your academic life. Ah yes, the scholarly article (aka the "research article" or the "peer-reviewed article"). These are articles published in research journals that have been subjected to a peer-review process. They are written by researchers or professionals from a specific field and contain original research. Scholarly articles are intended to contribute to the knowledge of a specific field. Due to the stature of the authors and the structured review process, scholarly articles are considered authoritative (trusted, accurate, true, reliable). Your professors expect your work and ideas to be built from authoritative information if the assignment or project calls for it, that is why they will often direct you to use "scholarly articles" to complete assignments. Use library databases to find scholarly articles. Pro tip: use the 'Peer-reviewed' check box that all databases provide in the search interface to make sure all the articles you find with your database search will be scholarly articles. How do I search for and obtain articles? Use library databases to find articles. 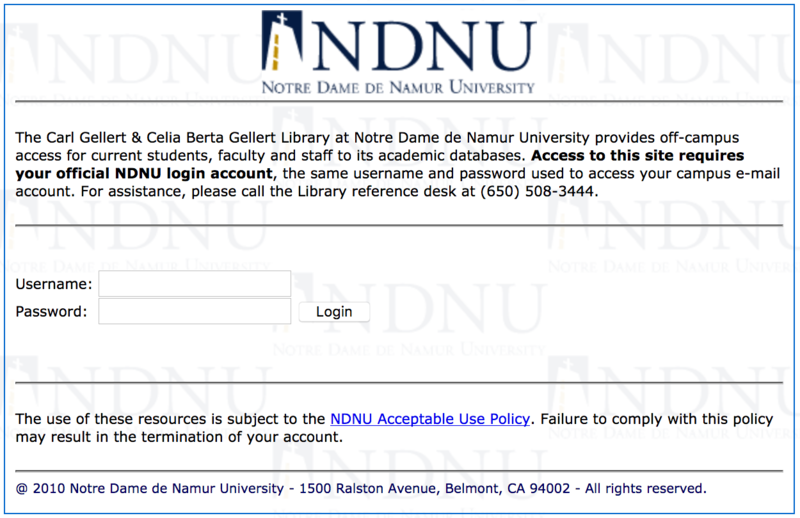 Be sure to access databases through the library homepage to enable the authentication process which confirms that you are a valid NDNU community member and enables access to most library resources. Go directly into an appropriate database, put in your search concepts, select relevant articles. Also, you can use the large search box on the top center of the library's homepage. Using that box will return results that include books, electronic books, and articles. Use/check the limiter boxes found on the results page to view only articles. Why use Google Scholar option on library homepage? By accessing Google Scholar from the library website, you can locate articles available through Gellert Library databases as well as articles and other content made available via 'open access' from other academic institutions, publishers, and societies. To make the most of Google Scholar, try our simple interactive tutorial. How do I access articles from off campus? Current students, faculty, and staff can access articles from off-campus. Simply choose an appropriate article database, you will be recognized as a "remote" user, the window below will appear asking you to verify who you are. 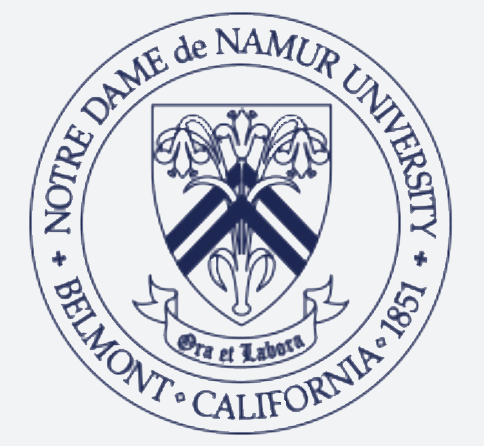 Use the same username and login you use to access your NDNU email and just like that you should find yourself in the database you selected. Give us a call if you are having login issues at 650.508.3444 or 650.508.3748. How do I search for and obtain books? Check out this brief (and very helpful) tutorial on this topic. There is a large 'DISCOVERY' search box on the top center of the library's homepage. Using that box to search will return results that include books, electronic books, and articles. Use the limiter check boxes found on the results page to view only books. The library's book collections include books in two mediums, physical books and electronic books. Physical books will include a 'call number', write down the call number and the title and retrieve the book from the library's shelves. The library’s 120,000 physical books are organized using the ‘Library of Congress Classification’ system. The classification arranges materials by subject using an alphanumeric system that produces unique ‘call numbers’ for each item. An item’s call number is listed in both the online catalog used to search the collection and on the item itself. The book shelves (aka ‘stacks’) display call number ranges to help you find items. Ask a friendly library staff member if you need help finding an item, we are here to help. If the book is an electronic book, simply click on its link to access the book online (ebooks are part of a subscription resource so you may be prompted to enter your student information to access the book). 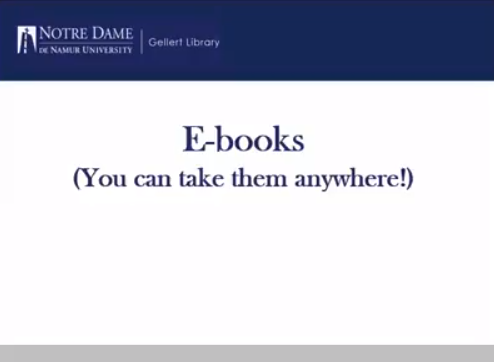 Go directly into Ebook Central to find books from the library's ebook collection (Ebook Central is a subscription resource that the library's purchases access to, so you may be prompted to enter your student information to access Ebook Central). Primary & secondary sources are different? Primary sources are original, first-hand records of factual investigation, artistic creation, or personal experience. Reports of scientific experiments, artistic works such as movies, paintings, and novels, visual and personal records such as photographs, eyewitness reports, letters, memoirs, and legal documents are examples of primary sources. Secondary sources are commentaries, overviews or summaries of the content found in primary sources. Interpretation and appreciation of literature, summary or commentary on research, historical and biographical writings based on factual events and primary sources are examples of secondary sources. How do I avoid plagiarism and cite successfully? Don't cut and paste material into your paper, give credit to the sources that you used to shape your work, whether you quote them or not. All researchers and academics build their work off of the work of others, this is expected and essential for new ideas to emerge. Giving attribution to the work you relied on to complete your work provides a way for others to review the work you cited and it adds to your credibility. Finally, listing the sources you use is a great way to demonstrate your research, which is a very important element in the overall completion and evaluation of your work. How do I evaluate and select sources? Contemporary times have proven that everybody needs to be smart consumers of information because of the sea of bad information available at our finger tips. The responsibility of being informed, thoughtful, and selective about the information you utilize in your work is heightened for students whose information choices will be subject to evaluation. Students have the responsibility of making informed choices and, depending on the assignment or goal, relying on authoritative resources (trusted, accurate, true, reliable). Don't forget, we are available at the library's Research Desk to field any questions you may have. Please visit us!